Recently, I had the need of having to convert a common music sheet directly in MIDI format, so you can listen to the musical result. Each time you start the program, the system asks if you have a license for the full version. Just click on Try to continue. 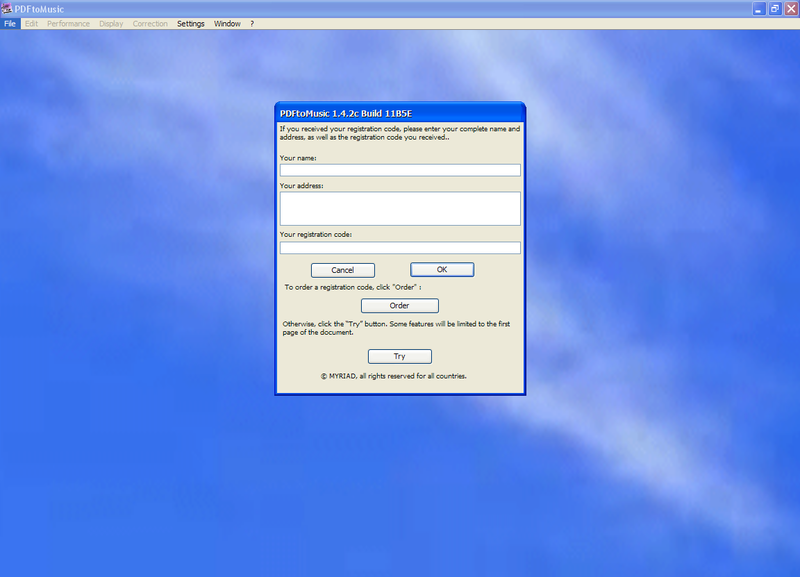 Just click on Try button, and you can safely use the program. In the next step the software will automatically opens the classic File Open window, to searching the pdf to convert. At this point, again automatically, it starts the process of analysis which performs certain steps fairly fast. After selecting the file to upload, the software will automatically start the process of analysis. At the end of the analysis, the next screen shows graphically the score that we have uploaded. On the right you would see a thumbnail image of each page of our score: remeber, with the trial version you can hear only the first page. After the scanning process ends, the software shows the score loaded. On the right you can see a thumbnail image of each page of the file. One of the main important area, is the top menu. Icons show us controls to start playing our score, to adjusting volume and time. The other controls allow you to increase or decrease the zoom screen and export the score in an audio file. Clearly the rendering of a single page is an important limitation, but if you need, you can render one page to time, and then bring everything together with any audio editing software. When exporting via the File menu, you can also choose the preferred format between Wave, MIDI, AIF, Bmp and, for fans, even the karaoke format. 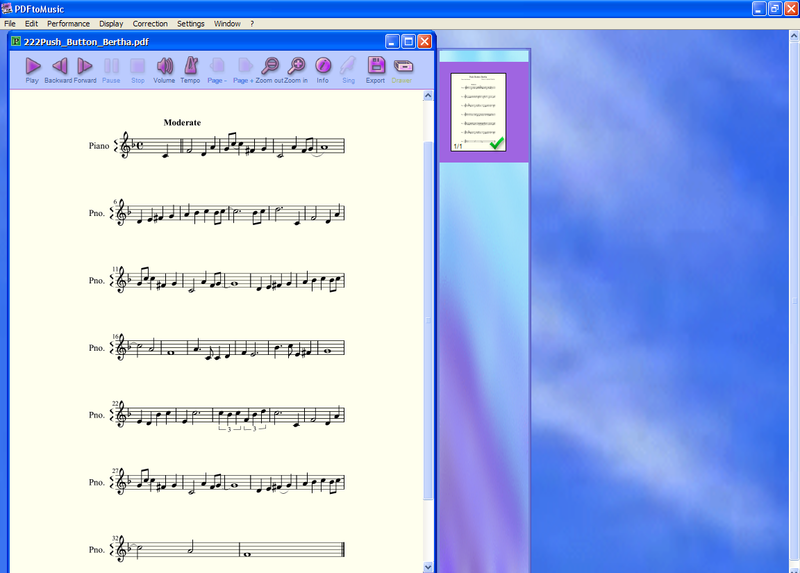 After exporting, you can listen your score performed, and you may also display on a keyboard the musical notes played. Indeed, this software has many important features, in the free version and even more so in that fee. But the purpose of this article wasn’t to investigate the use of the program but simply to inform the availability of a software capable of converting music scores in audio file, to listen. There is only one information to point out: PDFtoMusic is able to handle only the scores realized according to the standard MusicXML, implemented with music notation software like MuseScore and LilyPond (free) or Sibelius and Finale (not free). 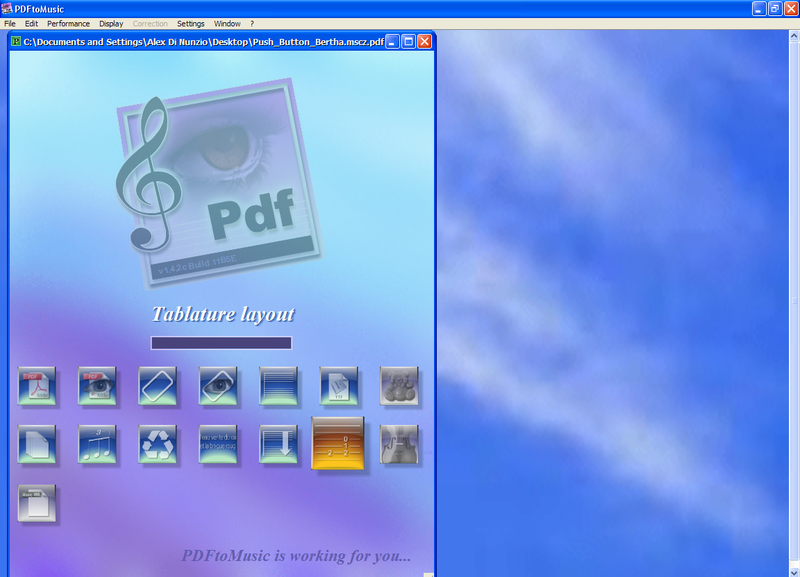 It would be interesting to know if anyone knows any other software capable of doing a work similar to that of PDFtoMusic, but completely free. Sarebbe interessante sapere se qualcuno conosce qualche altro software capace di svolgere lavori simili a quelli di PDFtoMusic, ma che sia completamente gratuito.